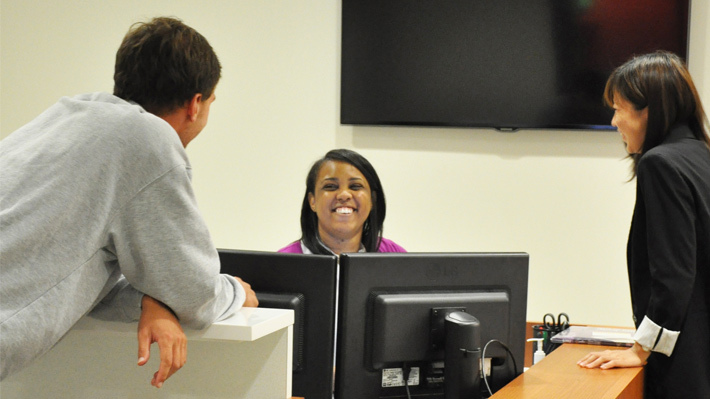 Drexel LeBow undergraduates now have a one-stop shop for questions, answers and referrals with the opening of a suite that houses both Undergraduate Advising and Undergraduate Career Services, located on the 3rd floor of the newly opened Gerri C. LeBow Hall. Lisa DeLuca, assistant director of undergraduate career services, says her group is excited that they now have an interview room designated to enable employers easy access to meet with students. “We’re also looking forward to hosting some great events in our new, spacious area this year,” she says.